The New Palestine baseball team came back from an early four-run deficit Monday, but saw Franklin Central score three in the seventh to beat the Dragons 9-8 at NPHS. The Dragons trailed 5-1 early after FC took advantage of four errors in the first two innings to score four unearned runs. But NP rallied to take the lead. 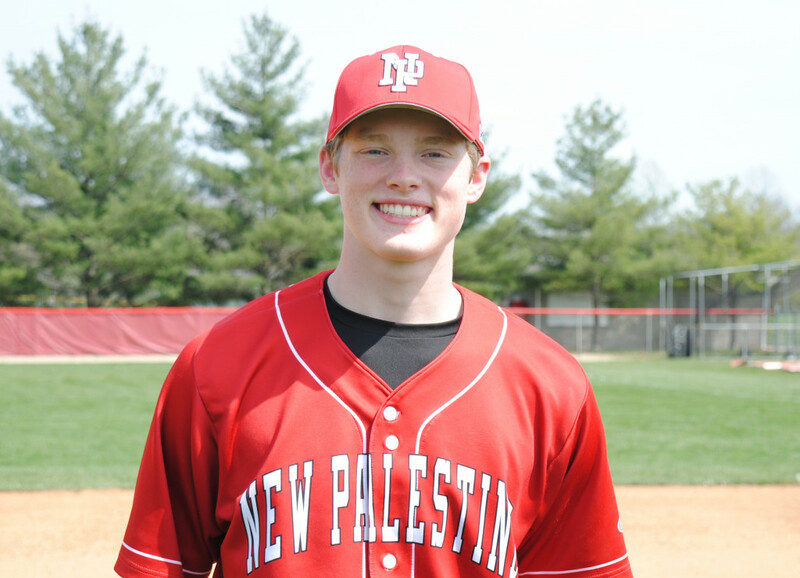 A three-run second – which featured four walks and a two-run bases-loaded single by Jacob Smith – drew NP within one. The Dragons took the lead in the fourth with a two-run, four-hit inning that featured Keegan Watson’s second bases-loaded walk of the day and Jack Walker’s second RBI single of the evening. Another two-run fifth extended the lead. 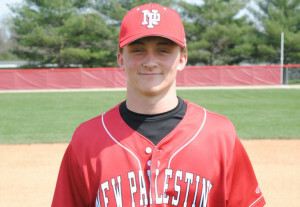 Jarrett Jaques and Colby Jenkins hit doubles, and Jenkins scored on an error to put NP up 8-5. FC got a run back in the sixth and then took advantage of a walk, a hit batter and two extra-base hits to score three in the top of the inning to take the lead. NP had a hit in the bottom of the seventh, but could not get the equalizer. The Dragons outhit the Flashes 11-8, but left 10 runners on base. Jenkins led the offense, going 3-for-3 with a double, a walk an RBI and three runs. Watson walked three times and drove in two. Walker was 3-for-4 with two RBI. Jaques was 2-for-4 with a double and two runs scored. Smith was 1-for-4 with two RBI. Tyler Martin and Nick Rusche also had hits. Jaques pitched 5 2/3 innings and allowed two earned runs and six hits, striking out five, earning a no-decision. The Dragons are now 16-5 on the season. They next play Wednesday at Roncalli. Jack Walker had three hits and two RBI in the Dragons’ 9-8 loss to Franklin Central. Colby Jenkins was 3-for-3 and scored three times in the Dragons’ 9-8 loss.